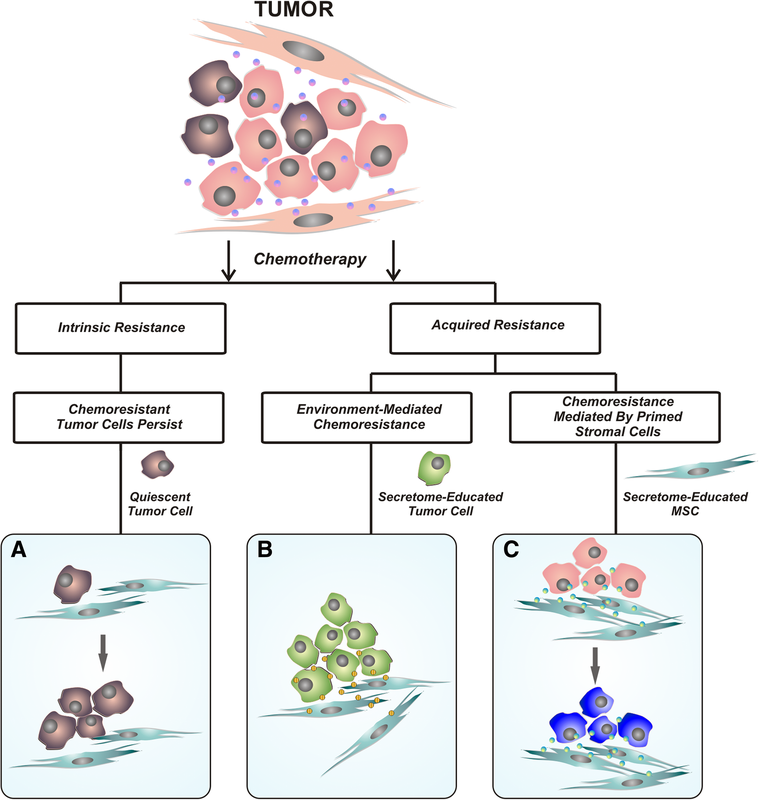 Many experimental studies have also confirmed that MSCs interact with breast cancer cells. They possess “homing ability” to breast cancer tissue and release growth factors which consequently promote migration and epithelial-to-mesenchymal transition (EMT). 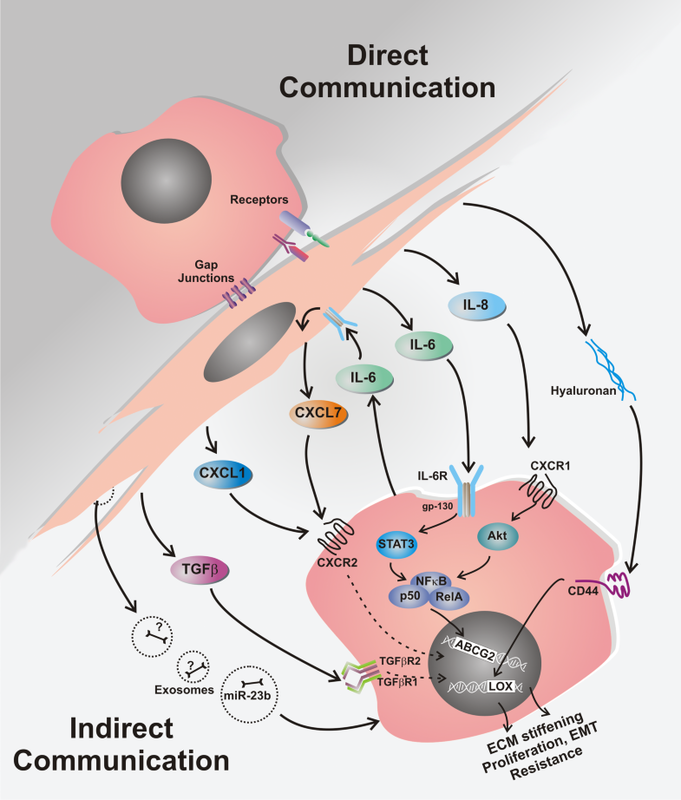 However, different reports on MSCs’ influence on chemotherapy response have produced contradictory findings, and while some studies have reported that MSCs contribute to increased breast cancer cell chemo-resistance [9–12], our results indicate that MSCs may even act as a drug sensitizer [13, 14].